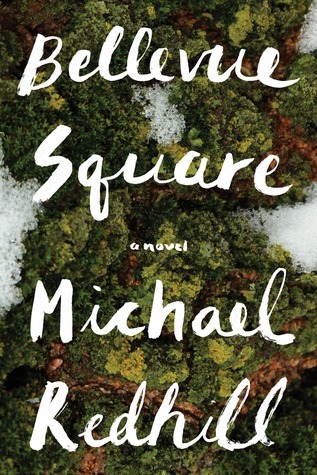 The Giller Prize shortlist is out! The Shadow Jury will be reading and reviewing these books over the course of the next 6 weeks, and will be choosing a shadow winner a few days before the official Giller Prize announcement on November 20th. My thoughts: Unfortunately I wasn’t a big fan of her last book, Outline, which was up for the Giller in 2015. Maybe I’ll like this one better? My thoughts: I’m excited to get to this one. I even bought it a while back knowing that there’s Arctic exploration. My thoughts: I hadn’t heard of Michael Redhill before this book came out, but his books seem to be well liked. So my expectations are high. My thoughts: This is another one that I already own, with the intention of having had it read by now. Well, this gives me a nice little push, doesn’t it? It’ll be my first Eden Robinson, even though Monkey Beach has been on my list for years. My thoughts: I think I’m most excited for this one. It seemed to have come out of nowhere (which I love), and it’s always exciting for me to see an Atlantic Canadian on the list! Have you read any of these? Are there any here that you think shouldn’t be? Any that should be, but aren’t? Thoughts? Predictions? Prepare yourself for Outline Part Two in Transit; same narrator, same style, same spirit of inward exploration. However, I bet you’ll enjoy it more simply by expecting to enjoy it less, if you know what I mean. So, there’s that. If you can find one of her earlier novels, I bet you’d enjoy her stuff! As I’m reading through the longlist, I’ve made it to the halfway point which also includes three of these shortlisted titles, and I’ve enjoyed all of them. I hadn’t noted Ed O’Loughlin’s previous works, so I’m very curious about that one (although it is awfully long!) and I have yet to read Michael Redhill, but I’ve always enjoyed his stuff, so I expect it will be very good too. I’m about to start Chariandry’s Brother, which I’m super excited about (not saying it should have included here, just happy to read it). Yes – good idea – I will go into Transit with very low expectations. I will mope and gripe and procrastinate until the last minute! But there are always disappointments, simply by virtue of the fact that there are so many eligible books and that any given jury has its own subjective passions and biases. FWIW, I understand why they don’t appeal to everyone, but I absolutely love them both (although I was less certain after just one reading of Outline, whenever that was, and I enjoyed it far more this time around, approaching it with pencil in hand). You’re right about the disappointments. There are just so many good ones. That’s why I like a list that’s a little bit different, so I can read some books that I might not otherwise have prioritized. MInds of Winter was the first one I read when the Longlist was announced. It is good, I did enjoy it, although it starts to get a little long towards the end, when more stories and more people continue to be introduced. I also read Brother (just finished on the weekend). Totally thought it would make the Shortlist. The next one I was planning on reading was Boundary! But it looks like it may well be Bellevue Square, which I have on my shelf. On the day of the Longlist announcement I bought for my Kobo, I Am a Truck so I’ll be able to read that one too. Looking forward to your Shadow Giller reviews – and for Kimbofo’s too. I read your review of Brother – I’m glad you liked it so much. I would still like to read it! You should still read Boundary – it’s very good! I read it a few months ago before any lists came out. Maybe you can just save it for later. I’m really looking forward to I Am a Truck. Also curious to see where the title comes from (which I readily admit that I might not be able to figure out). Cusk is the only writer I know, which given that people seem less than enthusiastic about this is a bit off putting. Nevertheless I shall see which of these is available in the UK and try and read at least a couple to get a flavour of what is being valued in Canada. Cusk’s book will probably be the most readily available to you. And so many people have loved both Outline and Transit, so don’t go by me! I’d be curious to know what others you’re able to get a hold of! When I saw the shortlist and noticed Minds of Winter on it, I thought right away that you might be very excited about this one. I hope you love it, because that will be a good excuse for me to get it. 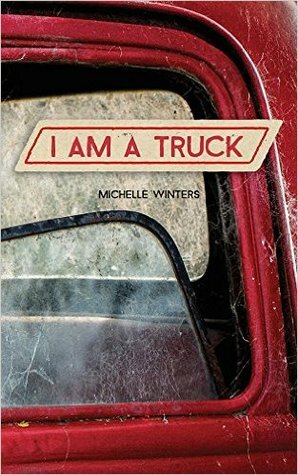 I am a Truck is a great title for a book! Have fun reading! I am so curious if I can figure out why it’s called “I Am a Truck”! I was SO SURE that David Chariandy’s book was going to make it on the shortlist, I’m upset it didn’t because it’s beautiful, and i highly recommend it. 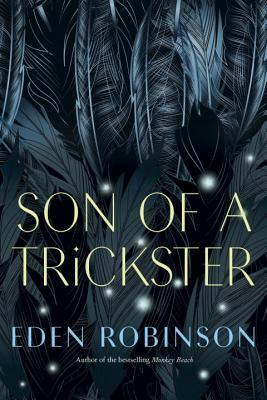 Based on this shortlist I’m rooting for Eden Robinson, I loved Son of a Trickster and I think you will too! Looking forward to Son of A Trickster! yes, I’m glad it’s getting lots of attention, I’m thinking it might be my bookclub’s november pick? I imagine you’d get a lot of interest for that! I feel as if I’ve been living in an alternate universe: when the long list was announced, I recognized zero of the books, or the authors. I don’t think that’s ever happened to me before. Anyway. After reading your post I reserved I Am a Truck at the library. The cover on the edition they list is interesting, but nowhere as cool as the one you show here. 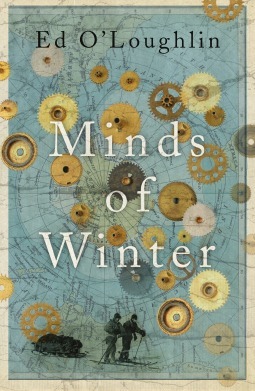 I also very much like the cover of Minds of Winter. 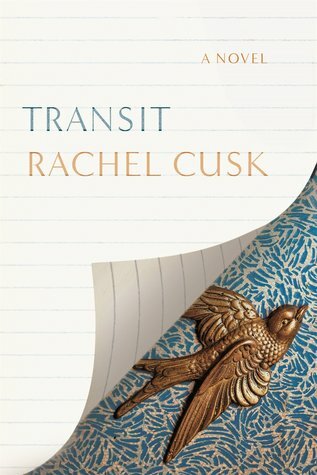 I’ve only ever heard of Cusk, but that just shows how uninformed I am about Canadian lit. Oh dear. If you tell me the one you like best, I promise to read it. I bet it won’t be Cusk. I’ve not read any of these but look forward to your reviews and recommendations! I dislike Cusk but fancy Minds of Winter. Have fun working your way through these! Hi. I just read & reviewed Outline — the good writing made it worth it for me though I was glad it was short. I needed a little bit more story. But I’m thinking Transit will be better even though the same style. (I need a Cusk break though for a while.) I’ve most curious about Minds of Winter! Anything with Arctic exploration and I’m a goner! Of all of them, that’s the one I’m looking to read. I wonder what it is about Arctic exploration that makes it so appealing to so many people? I’m starting to feel more courageous about Cusk. Maybe I will even read that one first! And maybe it will have a little more story. Although I am a very cautious person, I like reading about extreme situations: polar or tropical adventures, survival narratives, etc. I guess I’m living vicariously! I think that must be what it is for a lot of us. I love survival stories! Firstly let me say how much I love Canadian book covers, but Minds of Winter is the one I’ve had my eyes on for a while. I look forward to your thoughts on all of them. I’ve never thought before how Canadian book covers compare to others… I might have to start taking note! I am looking forward to following your insightful posts for the shadow Giller’s!! I finished I am a Truck yesterday and am still pondering it before I blog about it. I did enjoy it very much. Good to hear! Looking forward to your review! I really enjoyed Monkey Beach but I’ve not read any Eden Robinson since, so I’ll be really interested to hear what you make of it – and the others on the list! I just finished Son of a Trickster last night, and loved it. I haven’t read Monkey Beach, so I don’t know how they compare, but I can definitely recommend this one!